Mantle recaps the 11 October 1973 Pascagoula, Mississippi, UFO incident and reports on Greek UFO researcher Stefanos Panagiotakis’ investigation of the Pascagoula incident. Panagiotakis’ interview with Pascagoula UFO witness Emmanuel P. Sigalas is presented in the article. 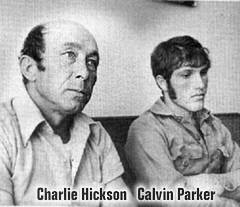 Sigalas and two other witnesses saw the UFO a short time before the Charles Hickson/Calvin Parker incident occurred, according to the interview. Sigalas, Raymond Broadus and a woman named Joan were travelling in a car when they sighted the cylindrical shaped UFO. The unknown object chased the car for a while before changing its course and heading towards the area where Charles Hickson and Calvin Parker were fishing.